The main trophy of the competition - the Crystal Microphone - was won by Roksana Wegiel fr om Poland. She received the highest number of votes from the audience and the professional jury. The winner's name was announced late in the evening of August 31 in the live broadcast of Belarus 1 and Belarus 24. The online broadcast of the final of the national qualifying round was also held by the official site of the country's main media holding www.tvr.by. Today, the main media holding of the country has held a draw for the finalists of the National qualifying round of the Junior Eurovision Song Contest-2018. The draw was followed by a working meeting of the creative group of the project with the teams of young performers. 10. Maria Gulevich (Minsk), Island Chikarum. The main media holding of the country is looking for bright, charismatic and purposeful people - adults and children aged 9 to 14 years who are not afraid of difficulties and are ready to go through all the stages of selection to become the hosts of one of the main music events of Europe - the Junior Eurovision Song Contest-2018. Candidates for hosts of the large-scale event should have an excellent command of English and a good stage presence, improvise excellently, have the experience of working the camera, being on air and participating in major television projects. As a result of the casting, the organizers will choose the hosts who will most harmoniously fit into the overall concept of the music forum. Those who succeed will have a difficult task: to work on the main stage for a multimillion audience of viewers and communicate with participants in the Green Room, because it is there wh ere the brightest moments and sincere emotions can be observed. 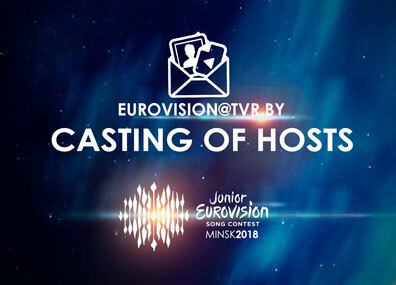 To participate in the selection, applicants need to send their photos and a short promo video with a story about themselves to the email address: eurovision@tvr.by. Videos should be creative, informative and laconic. The last day of accepting applications is July 15, 2018. The names of the hosts of the Junior Eurovision Song Contest - 2018 will be announced after the project's expert group, under the supervision of the EBU, will have studied the videos of all the applicants and choose the best ones. Junior Eurovision Song Contest-2018: Light Up! new stars! Belteleradiocompany has presented the original logo and slogan of the Junior Eurovision Song Contest 2018! The host country of the Junior Eurovision chooses its own symbols - a logo and a memorable slogan - which should become a hallmark of the forum. 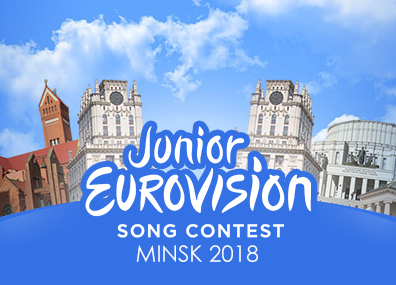 Typically, a graphically designed logo consists of an individual show symbol and a text common to all countries, written in the original Junior Eurovision font. 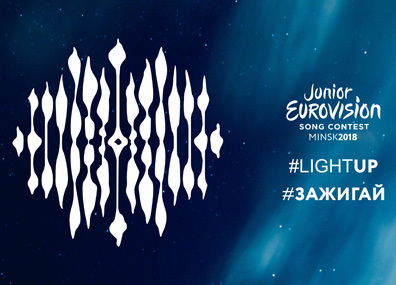 The logo of the Junior Eurovision-2018 is a rising star, presented in the form of inverted sound waves in the stylistics of the Belarusian national ornament. The author of the work is designer and devoted fan of the Eurovision Song Contest Maxim Bukas. The Star symbol (and the slogan Light Up! 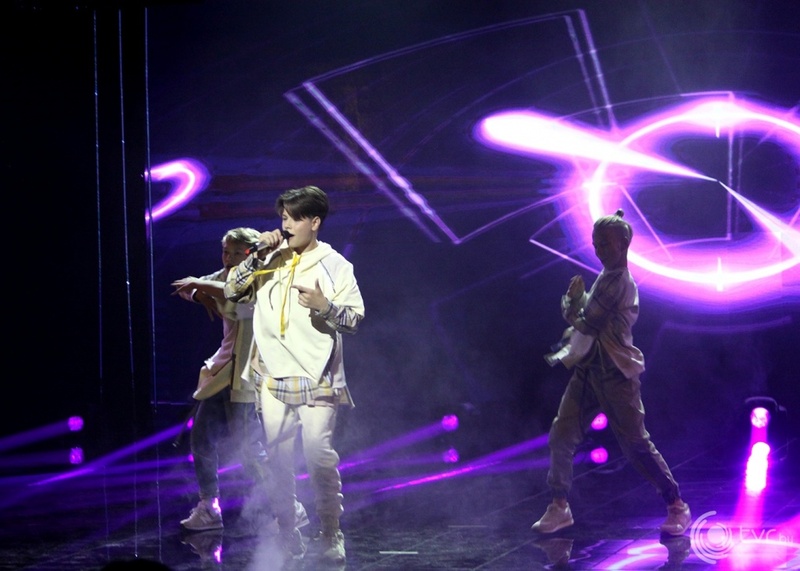 ), according to the European Broadcasting Union, was the best one among more than 300 works received during the creative contest of ideas for the development of the logo and slogan of the current children's song contest. According to the designer himself, the inspiration for him was Star Venus by Maxim Bogdanovich, a modern young European poet in Belarusian literature. Young participants of the contest will come to Belarus to make a name and start their own creative path as a bright star. The slogan Light Up! will also be in harmony with the logo! Soon the symbols of the Junior Eurovision Song Contest-2018 will appear on souvenirs, transport and billboards in the Belarusian capital. The stage design, the layout of the main concert platform, the design of all accompanying premises, wh ere delegations, volunteers, the press center will be located, will be prepared on the basis of the logo. Symbols of Junior Eurovision Song Contest-2018 will be used for active promotion of the contest in Belarus and abroad. International Junior Eurovision Song Contest-2018 will be held on November 25. The rising stars will be lit up at the sports complex Minsk-Arena, which already hosted the song forum in 2010 and meets all the requirements for holding and filming the television project. The places of residence of the delegations and the place for hosting the opening ceremony have also been finally approved. The participants will be accommodated in the five-star hotel complex President-Hotel, and the grand opening of the forum will be organized in the BelExpo exhibition center. In the meantime, Belteleradiocompany continues preparations for the contest. A social program for participants is being developed in the media holding. In the near future the casting of the hosts and volunteers will be held. On March 27, one of the EBU technical directors who has repeatedly worked at the adult Eurovision will arrive in Minsk. Together with the broadcaster's team, he will visit Minsk Arena in order to work out the concept of the music holiday more thoroughly. The organizer and coordinator of all events of the Junior Eurovision Song Contest-2018 is the National State TV and Radio Company of the Republic of Belarus as the only member of the European Broadcasting Union (EBU) in our country. Junior Eurovision Song Contest-2018 to be held in Belarus! International Junior Eurovision Song Contest-2018 will be held in Belarus. The European Broadcasting Union (EBU) has officially notified the National State TV and Radio Company of the Republic of Belarus. The show will be held in Minsk in November next year. The organizer and coordinator of all events of the Junior Eurovision Song Contest-2018 will be Belteleradiocompany as the only member of the EBU in our country. Due to the changes in the Rules of the International Junior Eurovision Song Contest, the TV company-organizer of the next contest can be announced even before the start of the 2017 show in Tbilisi. In order to plan the budget and all stages of the preparation of the event, the member countries of the EBU had the opportunity to apply for the Junior Eurovision-2018 in advance. According to the leadership group of the Contest, Belteleradiocompany's application was recognized as the best one, and as a result, Belarus will host the Junior Eurovision Song Contest-2018! Our country has experience of hosting this prestigious forum. The European Broadcasting Union highly appreciated the level of preparation and organization of the Junior Eurovision Song Contest in Minsk in 2010. 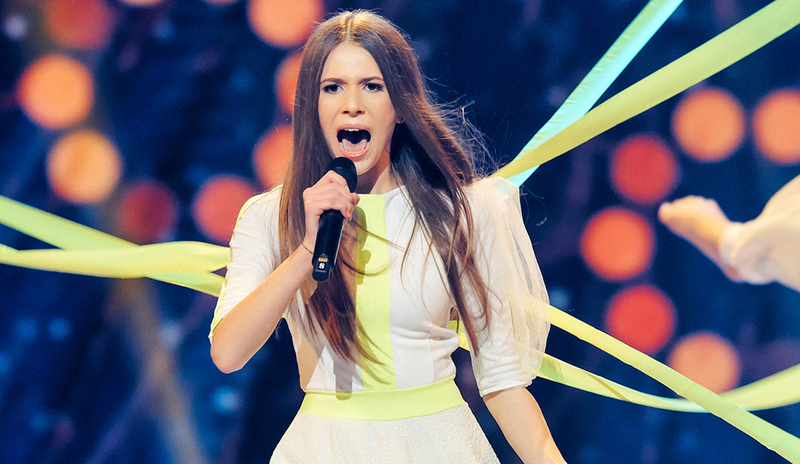 Belarus prepared then a terrific show for millions of viewers across Europe. An unforgettable Euroweek was organized for the best young performers of the continent. It was full of fun, new discoveries and friendship.